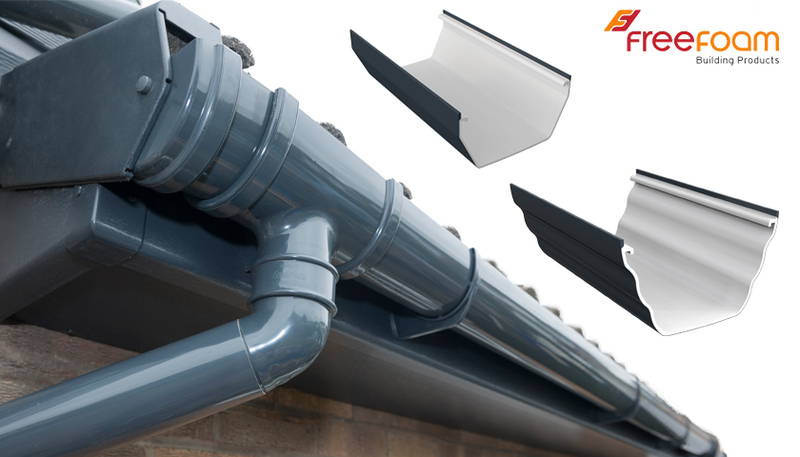 Freefoam Gutter Systems – We’ll be working our Grey Back to you! ..
Specification Product Update > Roofing, Cladding & Insulation > Freefoam Gutter Systems – We’ll be working our Grey Back to you! 2019 has got off to a good start for Freefoam customers, with the addition of Square and Ogee gutter in the popular Anthracite Grey colour option, to help them gain market share in a growing sector. Designed to complement the existing Round and Deep gutter systems and manufactured to Ral No. 7016 the ranges offer an exact match to door and window systems, giving customers the range to satisfy the growing demands of homeowners and developers. The choice of colour for windows, doors and roofline is now on average nearly 30% of sales, with some window companies seeing sales of over 50% in colour – and growing. Homeowners buying high end grey windows and doors do not want the standard white roofline – they want everything to match. Which is why Freefoam made a strategic move into manufacturing the complete roofline range in Anthracite Grey. Take a look at our roofline visualiser here.